The main change is that there are less inline style and the Send an email 2 action has full HTML markup, HTML, Head, Body, Style tags are used. It is possible to style the tables, and I have covered this in part 3 & part 4 of Create Office 365 Alerts Shared Mailbox from APIs. 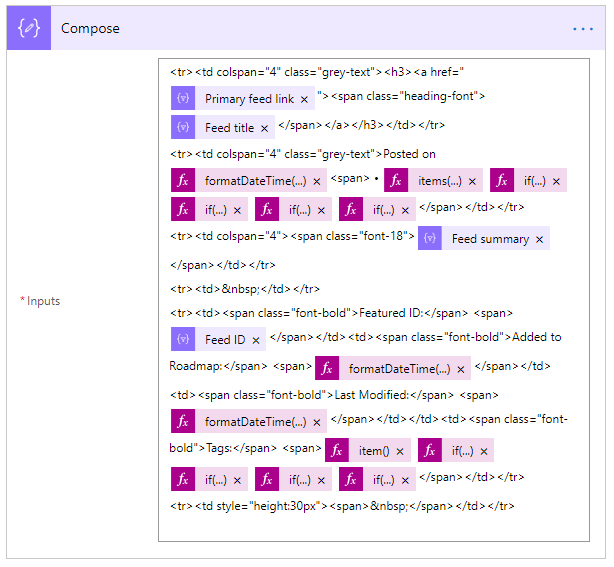 I have left an inline style in both the compose & Send an email 2 actions as it is entirely possible and practical to use inline style should you so desire. I have created 4 simple classes, heading-font, grey-text, font-18 & font-bold. These are applied using inline span tags and allow nice manipulation of the text. 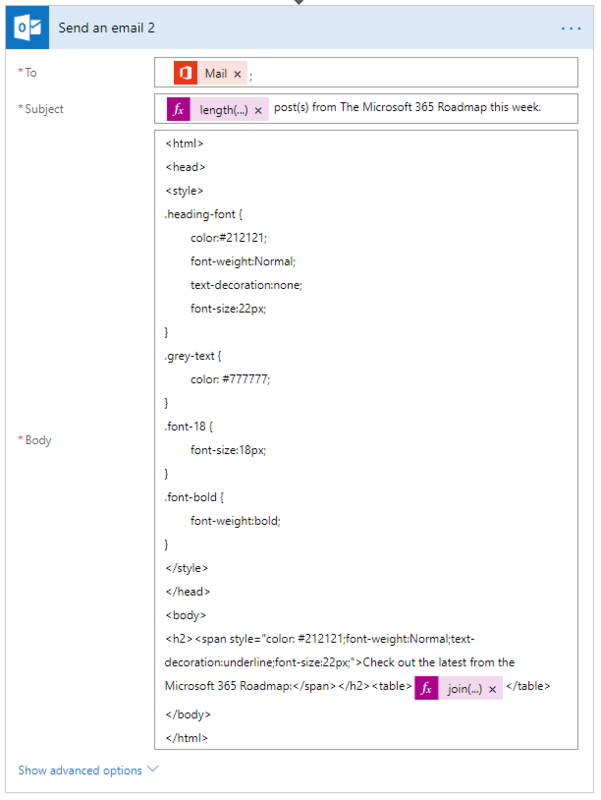 Colspan has been used also when formatting the table, All rows are colspan="4" except from the bottom row which maintains it's 4 columns and allows us to put the 4 values for Featured ID, Added to Roadmap, Last Modified & Tags in a single row.